Cole Custer started fourth, finished seventh. Earned four bonus points. Custer piloted the Haas Automation Ford in and out of the top-10 while noting that his car became tighter as the stage wore on. He pitted at the conclusion of the stage for four tires, fuel and air pressure adjustments. The quick pit stop earned Custer three positions off of pit road. Custer started third, finished fourth. Earned seven bonus points. 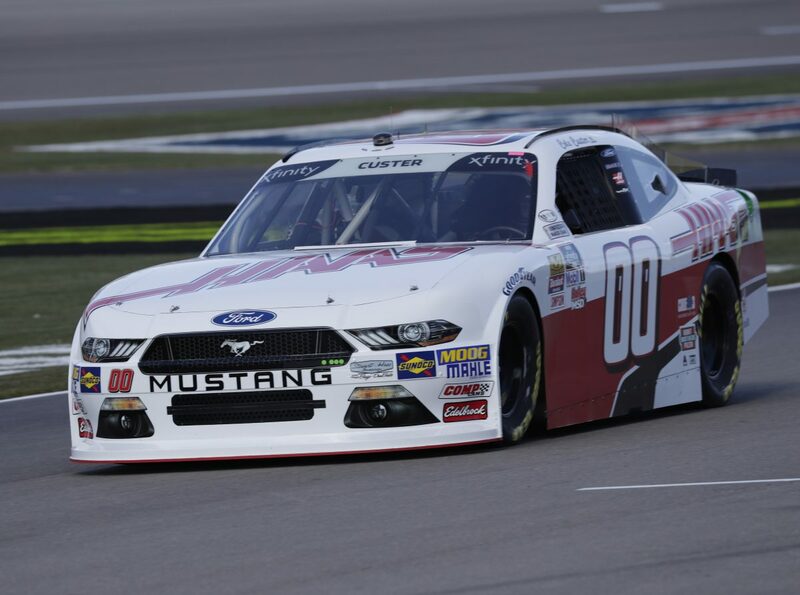 Custer battled the Haas Automation Ford Mustang inside the top-five for the majority of the stage. At the conclusion of Stage 2, he pitted for four tires, fuel and air pressure adjustments. He gained one more spot on pit road. Custer started third, finished fourth. Custer fought to the second position on the initial restart and consistently ran in the top-three for the first half of the stage. On lap 132, Custer pitted for four tires, fuel and adjustments. The quick stop by the Haas Automation pit crew vaulted Cole to the lead off pit road. Custer ran in and out of the top-five until a lap-189 caution. He restarted in sixth place and held the Haas Automation Ford inside the top-10 for the remainder of the 200-lap race. This was Custer’s second NASCAR Xfinity Series race at Las Vegas Motor Speedway. Six cautions slowed the race for 29 laps. This marks Custer’s first Xfinity series top-10 at Las Vegas and first top-10 of the season. Custer earned 11 bonus points in the Boyd Gaming 300. Only 17 of the 40 drivers finished on the lead lap. Kyle Larson won the Boyd Gaming 300 to score his ninth career Xfinity Series victory, first of the season and first at Las Vegas. His margin of victory over second-place Christopher Bell was .881 seconds.